< Is Your Past Haunting You? 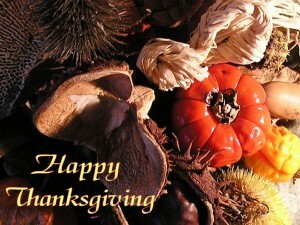 Thanksgiving is a wonderful time of year to show our gratitude for the many blessings we have. What are the things you are most grateful for at this time of your life? Writing a gratitude list or having a gratitude journal is an excellent idea. However, it’s important to develop a “feeling” of gratitude. Cultivating “feelings” of gratitude is necessary because it changes our vibrational frequencies to a higher vibration and attracts more positive energy and goodness into our lives. 1. Pay attention to all 5 senses – hearing, sight, taste, touch, and smell. The senses are often a connection to a past feeling of gratitude and joy. For example, the smell of oranges reminds me of being a child at Christmas time and getting an orange out of the big box in my neighbor’s closet. It was a pleasant time in my life. 2. Look forward to a moment when you can feel gratitude like a night out with your spouse or making a special treat with your child, then pay attention to the feeling you have. Find your gratitude list and attach it to some of the “take for granted” things on your list or other items that you have a hard time eliciting an emotion about. 3. Make time for “quiet time” in your life. You can listen to calming music like New Age or classical, meditate, pray, daydream or just lie down and breath. Quiet time helps you get in touch with your mind, body, spirit and emotions. 4. Monitor the happy grateful feelings you are having more than the thoughts. 5. Envision something you want in your life. Be specific about it such as a better relationship with your spouse, a family vacation, a healthier and trimmer body, etc. Think and write about it in great detail. Then think about and write down some “gratitude feelings” you will have when this is a reality in your life. 6. When something is not right in your life, like back pain, a lost job, or a struggling relationship, focus and think more about what is right such as the ability to move and walk, the opportunity for a new career or job, and the relationships that do bring you joy. 7. Spend time in nature. Sadly, much of raw beautiful nature has been replaced by industrialized cities. Studies have shown that the behavior in children is greatly enhanced when they spend time outdoors amongst grass, trees, insects and dirt. The same is true for adults as well. If you live in a city dense with concrete, find a park or a patch of grass. Better yet, drive to the country if it isn’t too far. 8. Be grounded and present in the moment. Energy healing work can clear blocks that are preventing you from doing this, particularly blocks in the lower chakras. 9. Read stories or watch movies of people who struggled and came off conqueror. 10. Reminisce about past happy events with family and friends. Share stories, old family movies, scrap books or learn about your family history. Getting to know your roots and where you came from can give you a sense of gratitude for modern day blessings. This entry was posted on Friday, November 16th, 2012 at 3:45 pm	and is filed under Gratitude. You can follow any responses to this entry through the RSS 2.0 feed. Both comments and pings are currently closed. Very good written information. It will be beneficial to everyone who uses it, as well as me. Keep up the good work – looking forward to more posts. Hello.This article was extremely remarkable, particularly because I was investigating for thoughts on this matter last week.